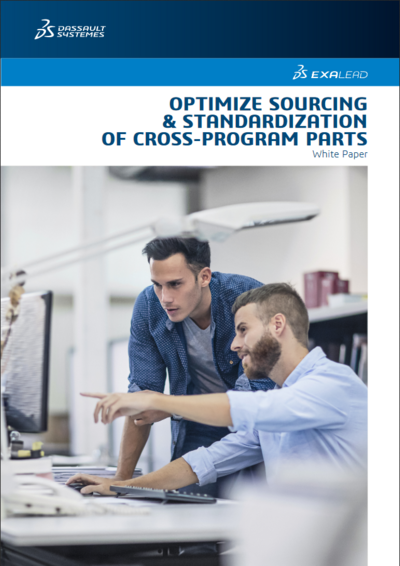 Standardizing and reducing the number of parts used in a project significantly decreases the overall costs. Cost & Continuity Concerns –Enterprise-wide rip-and-replace initiatives are sometimes simply deemed more costly and disruptive than the continued use of ad hoc legacy tools. This is especially true for global manufacturers using practices like concurrent engineering and multi-site manufacturing. Engineer & Customer Resistance –Engineers frequently resist efforts to make them switch from applications they feel comfortable using. Externally, different customers and partners often demand that files be delivered in formats conforming to their own systems. Mergers & Acquisitions – Mergers and acquisitions are common in manufacturing, and migrating each acquired or merged organization is a slow and difficult process that can lead to disparate systems persisting for, in some cases, years. Another major challenge is the divide between engineering (CAD/PDM/PLM) and business (ERP/SRM/SC) systems. Procurement professionals may not be able, or know how, to access engineering systems to retrieve information that can help validate new part requests, select the best suppliers and secure the best prices. Engineers often cannot easily consult essential sourcing information when making a decision as to whether they should reuse an existing part, design a new one, or request an existing commercially available part (a “make, reuse or buy” decision). 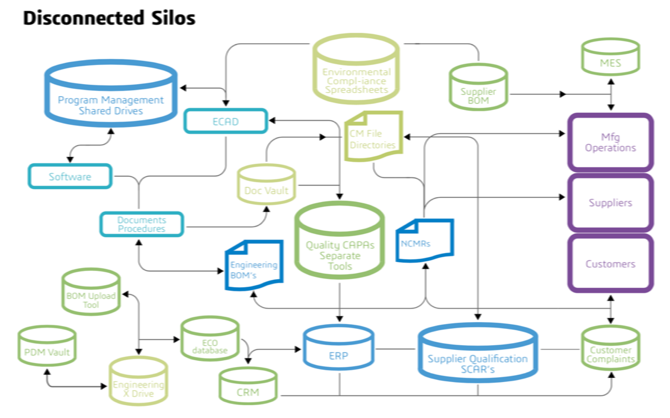 Security Roadblocks – As with siloed data, security can be a roadblock. Security is often applied at a program or project level, preventing access, and hence reuse, across multiple projects. Moreover, within and across projects, access to part-level details may be blocked for some users even if they can access higher-level designs. Poor Data Quality – Poor data quality can also be a barrier to standardization and reuse. If data is incomplete or inconsistent, some designers may be unable to determine with certainty whether an existing part would truly fit their requirements, leading them to redesign or request a new part. And even if data has been standardized and the quality is high, it may be organized in a manner that prevents them from successfully locating matches. For instance, some people prefer to access parts by a classification name (fastener/bolt) while others prefer to search by material, preferred supplier or other criteria. They may abandon searches that don’t conform to their personal search habits and preferences. Poor User Experience for Search Tools – A further barrier to parts reuse is poorly designed or restrictive part search tools. If the user interface is cumbersome or performance is slow, designers will be much more likely to simply create a new part in order to save time and frustration. 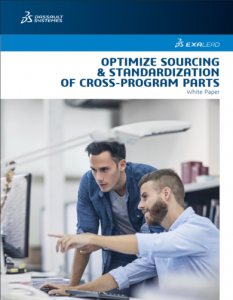 These are some of the technical barriers within data and systems that make parts standardization and reuse challenging for manufacturers.